cook simple recipes by yourself! 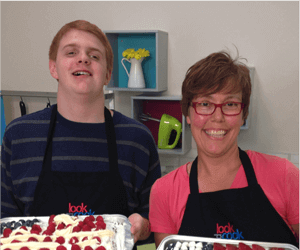 Look, Cook, and Eat is a digital how-to cooking magazine designed for people with intellectual disabilities to help promote an independent lifestyle. who’s using look, cook, and eat? 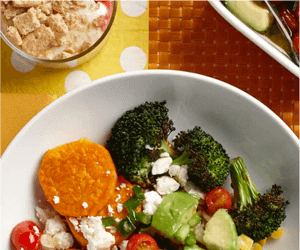 As a dietitian, I love LCE because the recipes are healthy but use everyday ingredients and simple instructions. The students with disabilities who take my cooking classes have a great time making delicious dishes and leave the class with a feeling of success and accomplishment. It gives them a chance to learn skills they can use in their own kitchens. We have been implementing Look, Cook, and Eat as part of our Independent Cooking classes for two years now. Our students are required to cook three meals a week. LCE, with its easy-to-navigate menus, visuals, and videos, allows our students the independence in cooking a variety of creative, simple, and nutritious meals in their apartment dorms. After hearing the students talk about their favorites, several of our staff now use the recipes too! We love Look, Cook, and Eat! Before I found out about and started using LCE, the only cooking I did was microwaving frozen dinners. The nutrition in TV dinners is horrible. When I started using LCE, I was amazed at how easy they made it to make my very own dinner for my parents by myself. My favorite thing about LCE is the wonderful step-by-step videos that each recipe has. The variety of recipes has everyone’s taste in mind. My parents were very proud of me when I cooked them dinner by myself. I highly recommend LCE!